August 7, 2018 Bungie talks TTK – two-hit melee and three-tap hand cannons are coming to Destiny 2. Bungie has unveiled the nitty gritty on the combat changes coming to Destiny 2, and it looks like PvP is getting a whole lot spicier. We knew time to kill was getting much faster but boy – it’s getting much faster. 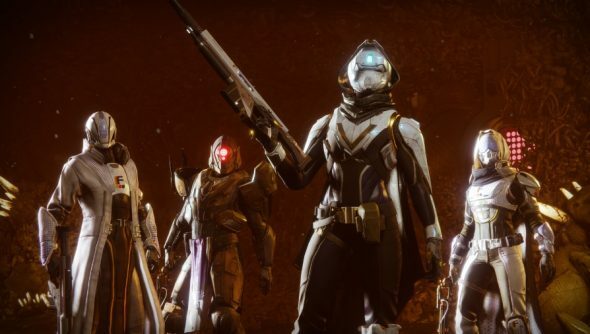 The reveal stream has offered plenty of crunchy details, but the change most emblematic of the new Crucible is the fact that two melee hits are now sufficient to kill. That’s good for any melee focused class, but it’s especially good news for Titans – particularly since Shoulder Charge is now set to be a one-hit kill (as will all third-person melees), returning to the lethality of the previous game. These melee damage boosts will also apply in PvE. Guns are naturally killing faster too. You can get three-tap kills with an appropriate hand cannon now – two body shots and one headshot will end an enemy Guardian. The damage rebalance is largely focused on precision shots, though it’s been boosted across the board. Grenades are buffed too – but they’re not one-shot kills. The potential changes were first noted over on Reddit, where user tripleWRECK noted that in some early Forsaken gameplay footage, auto rifles have seen a damage boost that works out to roughly 24%. That brings the weapons in line with their counterparts from the original Destiny, knocking time to kill all the way down to under a second. In a This Week at Bungie post shortly after senior sandbox designer Jon Weisnewski confirmed that “a global lethality pass on weapons and abilities” was in the works. The stream is currently still underway. You’ll be able to check out the archive on Twitch. Today’s reveal stream also dove into the weapon slot changes coming alongside the Forsaken release date. You can expect to see the balance changes go live with the preload on August 28.